I haven’t checked in for a while so I thought I would give an update for those interested! It’s been a CRAZY busy year so far and many wonderful musical moments have taken place. 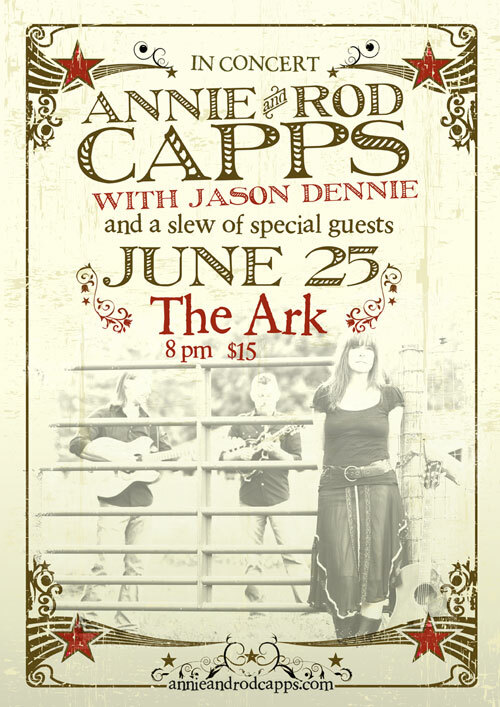 Really excited about the cd release with Annie & Rod Capps, SEARCHING FOR NEVERLAND back in June. I enjoy my time and musical companionship with them dearly and am always having a great time making music and memories with them! I’ve also been busy building repertoire and laughs with THUNDERWÜDE and we are looking forward to playing a lot more around MI. We have lots in store for high energy playin and singin so keep your eyes and ears peeled for us to come your way soon!y Thunderwude cohorts will be touring with Jeff Daniels for the next month or so, but look for us at Trinity House in Livonia on Dec 5th! 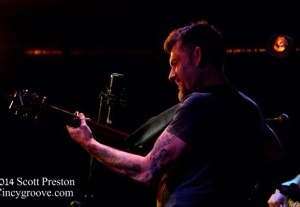 I’m looking forward to also recording and playing a lot thru Nov and Dec with the Mark Lavengood Bluegrass Bonanza. Mark Lavengood is the dobro player for Lindsey Lou & the Flatbelly’s and they have been touring a ton Nationally and Internationally and getting rave reviews. I’m honored to be a part of his side project when he gets the time and the cast of players for that has always been great fun and exciting music. Late September provided an incredible night of playing alongside Brad Phillips at The Ark and hanging on for his brand of bluegrass/newgrass. I think the general consensus was good and many agree that it should happen again, so I’m excited about sharing a stage with that group as well when it can happen! 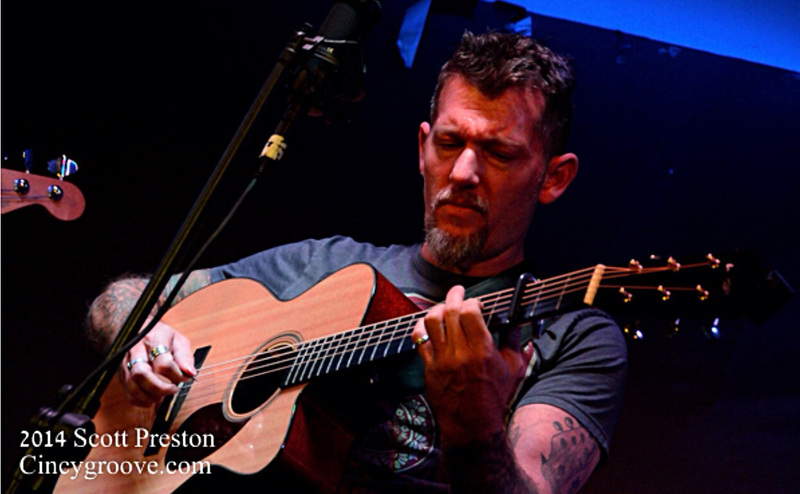 Brad has been busy playing with Joshua Davis, as well as Daisy Erlewine, among Verve Pipe, Pat Methany, Stevie Wonder and many others and always bringing a high level of musicianship to everything he does! I’m glad to also be a part time Sugaree with Billy Brandt & The Sugarees, whenever that lineup is all available and we create quite a wall of sound together. Billy always brings the best of his band and it’s always a unique adventure! In addition to all that, I will still have a few solo shows coming up, most likely joined by Rochelle Clark and her lovely voice, and a few surprise guests to make each show unique and fun! Thanks so much for all the open ears and encouragement and support…this life is crazy but I wouldn’t change a thing! I’m teaching 2 days a week at Detroit Guitar in Birmingham and 2-3 days in Ann Arbor, Chelsea, Dexter areas upon availability, so for those interested, please inquire! This year is quickly coming to a close but there are some notable shows to look out for! My last trio show with Annie and Rod Capps this sat dec 6 at Coffee Amici in Findlay, OH. We always have a good time there and look forward to some familiar faces. I’m excited about the new material that is soon to be recorded with Annie & Rod and we can’t wait to get this music to you in 2015! Another project I’m excited about is my involvement with Thunderwüde, an acoustic based, bluegrassy, rootsy kind of thang born out of makin music on Wednesday nights in Chelsea, MI. 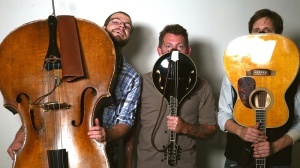 My cohorts are Wes Fritzemeier, George Merkel, and Tommy Reifel from the Ben Daniels Band. The Ben Daniels Band had a track included on the soundtrack from Dumb and Dumber 2 and will be supporting Jeff Daniels on tour in January and I’m happy to make music with those guys when schedules allow. You can check out some live takes from our fun times at our reverbnation page, www.reverbnation.com/thunderwüde. We are happy to be playing at The Ark Dec 18 as a co-bill with Adam Plomeritas from Ypsilanti and his brand of soul, pop, and rock. Come help bring the thunder of Thunderwüde to a roaring mountain of acoustic rage! I’ll finally be releasing some new music in 2015, a solo EP of some stripped down versions of songs I’ve been playing the past few years and a few new tunes, along with a collection of music with Thunderwüde, keep your ears peeled! 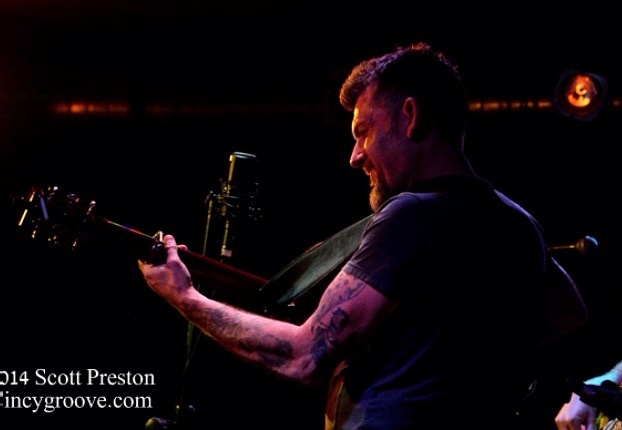 Dec 19/20 will have me playing mandolin and singin again with the Mark Lavengood Bluegrass Bonanza as we hit Founders in Grand Rapids and the Avenue Cafe in East Lansing just before the Holiday begins. The Founders show will be a hoot with the flame throwing Billy Strings & Don Julin sharing the stage and no doubt joining us for some acoustic mayhem! We are close to the end of another year, time does indeed fly!! Wanted to mention a few things I am excited about. Still slowly working on my next cd, a vocal cd, probably going to be a sparse record with a few guests here and there but schedules being what they are, things take time. That’s ok though, as new material is finding its way under my fingers every month and I’m just trying to keep up with it all. Awaiting a new mandola from Benjamin Wilcox and BRW Instruments, which is bound to be a thing of beauty. I have been beyond happy with BRW #58 & #97 and this new instrument will be featured immediately so keep an eye out! Doing random sideman gigs with the likes of Annie & Rod Capps, Billy Brandt, the Flutter and the Wow, and Chris Buhalis in Dec and excited to open for my friend Adam Plomeritas at his CD release at the Ark on Jan. 30! Wayward Roots will be taking a little time off to do some more writing and hope to release an EP of live songs very soon from some of our recent shows. I’m now teaching at Detroit Guitar in downtown Birmingham on Mondays and Thursdays, in addition to my continued private lessons, so anyone interested feel free to inquire!! Stay tuned!! 2012 Detroit Music Awards and Spring! Hey folks! Wow, what a blast of beautiful weather to fool us all into an early spring! Just wanted to say a quick thanks to those who have shown their support and continue to do so. I’m happy to be nominated a 3rd time for a DMA for Outstanding Acoustic/Folk Instrumentalist, as well as alongside Annie & Rod Capps for Outstanding Acoustic/Folk Recording, TAKE ME TO THE FAIR. Respect from your peers is a wonderfully important and appreciated thing!! Be sure to try and catch my bluegrass band, Wayward Roots, at Trinity House Theatre April 27th, which does happen to be the same night as the DMA Award Ceremony. Lots of music with Annie & Rod, the Laws Wayward Roots and more, some solo shows in May, check calendar for dates and hope to see you out there at a show! Hey there, sorry for being out of touch so to speak, lots of music been bein played with various folks and lots of good fun being had. Cd Releases for Potter’s Field, (another album I played all over) new recordings with Annie & Rod Capps, and Wayward Roots and more music period!! The month of December always proves to be more teaching than gigging, as students are coming home for the holidays and squeezing in what they can, which is good for me!! For those interested in private lessons, or having me or Wayward Roots for a house concert, please feel free to send an email to jasondennie@gmail.com for availability! Hey Folks! So sorry its been a while since I have had any new updates…been busy!! Summer has been full so far! A good time, if but a bit cold, was had at this year’s Noreaster Music Festival in Mio, MI. 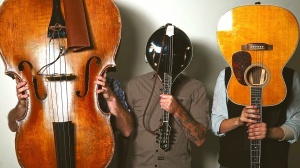 A new band I’m playing mandolin and singing for, Wayward Roots, made the venture to Colorado to play in the Telluride Bluegrass Festival Band Competition. The experience was insanely cool, and we competed against some great bands from CO, AZ, NM, SC, IL, and TX for example. The competition was pretty fierce but we made the finals and ultimately took home 2nd place!! 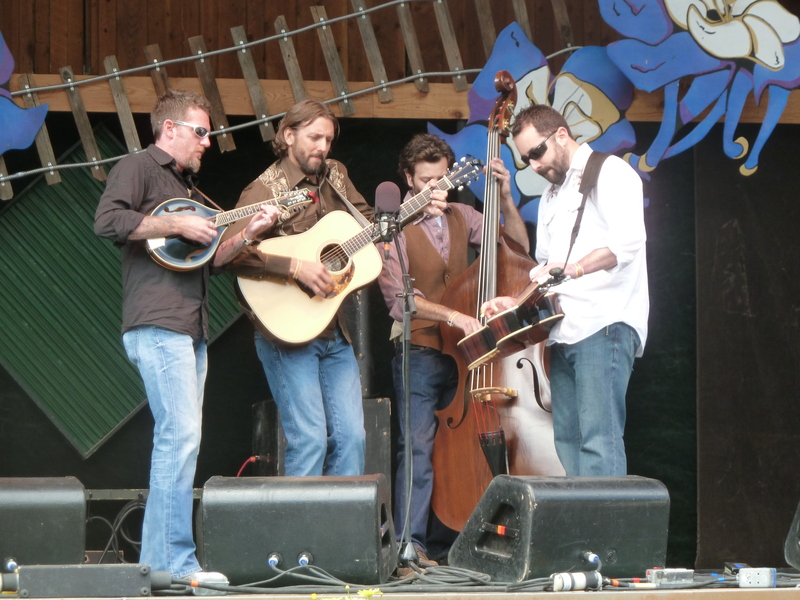 Playing the mainstage was awesome and the lineup was all of bluegrass royalty and also acts like the Decemberists, Emmit-Nershi Band, Mumford & Sons, and Old Crow Medicine Show. We had a great time and will always have ‘Telluride Finalists’ to add to our accomplishments!! Our trip home was amidst some scary driving thru 3 hail storms and tornado warnings thru most of Nebraska, definitely an experience we will never forget. Thanks so much to all the support we had and it was great to meet so many folks and make some new friends out west. Congratulations to Run Boy Run from AZ who won 1st Place! 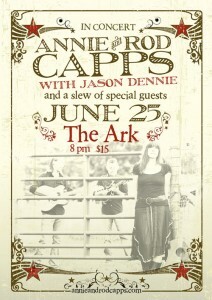 This upcoming saturday, June 25th, Annie Capps and I celebrate our shared birthday with a show at the Ark. Many of Annie’s musical friends will be joining us as after we play a trio set of mostly material from the new EP, Take Me To The Fair! Hope you can come and join us for a celebration spanning our combined 90 years of life!! !